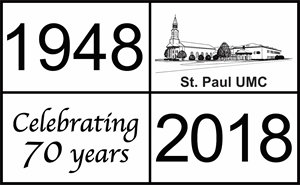 Plans are well underway for the 2-Day Kickoff Celebration of our 70th year serving Christ Jesus at Saint Paul UMC. You do not want to miss these wonderful opportunities to celebrate our ministries, play and worship together and share the good news of our Lord and Savior, Jesus. We are wearing casual and cool clothing this day! BBQ, sides, and dessert in the historical tradition of the church built on the pig fundraisers. Click here for more infoformation about the preachers and the band. Click here for the media release about the anniversary. © Copyright , Saint Paul United Methodist Church - Florence, SC. All rights reserved.